Company Overview: Small boutique photographer’s rep agency based in Atlanta GA. We market to advertising and commercial arenas nationwide. 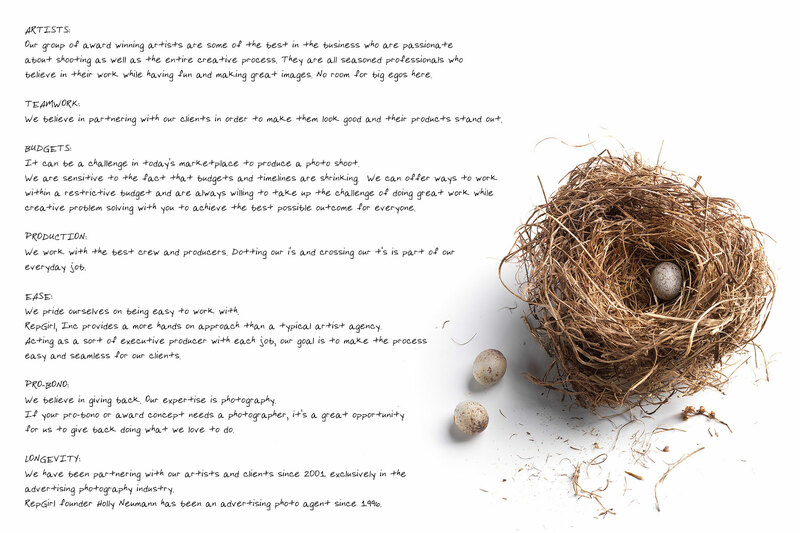 Mission: To achieve the best and most creative images possible for our clients as smoothly as possible. Our group of award winning artists are some of the best in the business who are passionate about shooting as well as the entire creative process. They are all seasoned professionals who believe in their work while having fun and making great images. No room for big egos here. We believe in partnering with our clients in order to make them look good and their products stand out. It can be a challenge in today’s marketplace to produce a photo shoot. creative problem solving with you to achieve the best possible outcome for everyone. 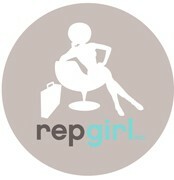 RepGirl, Inc provides a more hands on approach than a typical artist agency. easy and seamless for our clients. We believe in giving back. Our expertise is photography. for us to give back doing what we love to do. RepGirl founder Holly Neumann has been an advertising photo agent since 1996.